With the generous assistance of The Goldsmiths’ Company, and in association with the National Maritime Museum’s ‘Gilding the Gingerbread’ project, the Heritage Crafts Association wish to contract a freelance project manager to oversee the creation of a documentary film about gilding, a craft categorised as endangered by The Red List of Endangered Crafts. 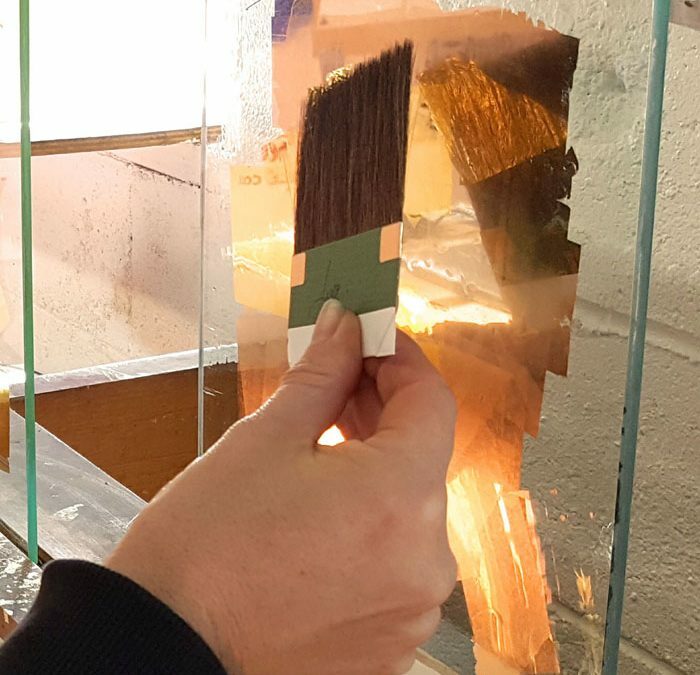 The film will feature a master gilder training one or more ‘apprentices’, who will ideally have some existing knowledge of the craft, in a practical workshop setting. The second phase of the project will involve delivering a learning programme of courses and/or workshops to further disseminate the skills transmitted in the film. Photo: by Better Letters, reproduced under the Creative Commons Attribution-NonCommercial 2.0 Generic license (CC BY-NC 2.0).